With a stay at Omiga Hotel - Chenzhou in Chenzhou, you'll be within a 15-minute drive of Dongta Park and Wuling Pavilion Golf Training Field. Featured amenities include a business center, dry cleaning/laundry services, and a safe deposit box at the front desk. Free self parking is available onsite. 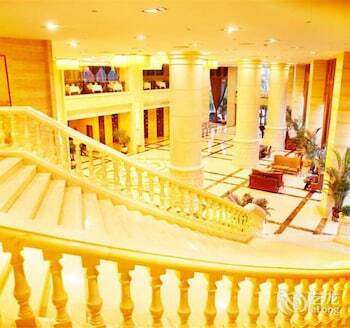 Located in Jiuquan, Grand Sun Hotel - Dunhuang is minutes from "Playing Pipa" Statue and Dunhuang Theater. Self parking (subject to charges) is available onsite.